Voldemar 'Piir': [twin brothers Käär have arrived at platoon as supplement] Who are you? Vennad Käärid: [simultaneously] SS-grenader Käär! Vennad Käärid: [simultaneously] Yes, sir! Voldemar 'Piir': Ten men were promised, two were sent, they are also like one. Karl Tammik: What are your names? Voldemar 'Piir': I can see that, a bit similar. 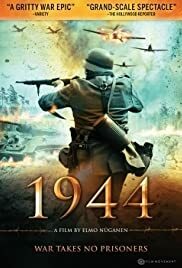 "1944" is a milestone in estonian movie-making. From start to end titles there is hard to find something to complain about. On the contrary: This movie can stand beside the other great movies from this genre with head held high. The characters and how the movie is build up was amazing. The diversity of characters and how they are making impact with a short time is incredible. Very emotional movie with great war scenes. The topic is something that I have not come across previously in same genre. 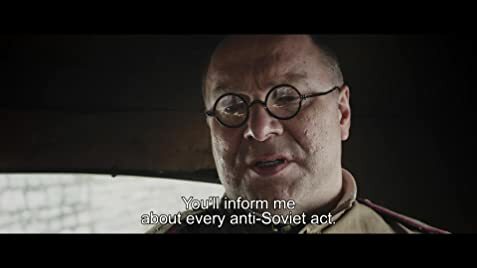 This is why I think this movie is not must see just for people living in estonia, but also for international audience.